Interview with Ryan P. Lowery, chatting about SWEETS, sugar alternatives, how to mitigate the keto cravings, and so much more. Keto is such a liberating lifestyle for me, but if I’m being really honest, sometimes I miss my sweets. Even though I’ve been keto for a few years now, every once in a while, I’ll feel that pull towards sugar. If you find yourself craving sugar — especially when you’re tired, sleepy, stressed, bored, or feeling a little down — don’t worry, you’re not alone! 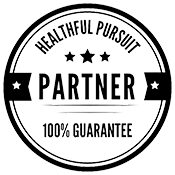 My relationship with sugar is a lot better since I found keto; I’m no longer dependent on sugar, and I can go a good while without a craving, but if keto has taught me anything, it’s that life is about BALANCE. 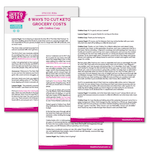 How can you balance a sugar craving with a ketogenic lifestyle? I’ve got a few tips for you! 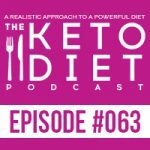 In today’s podcast, I chat with our guest Ryan P. Lowery, President of the Applied Science and Performance Institute (ASPI), PhD candidate in Health and Human Performance at Concordia University, and former sugar fiend about how to treat yo self without derailing your keto lifestyle. 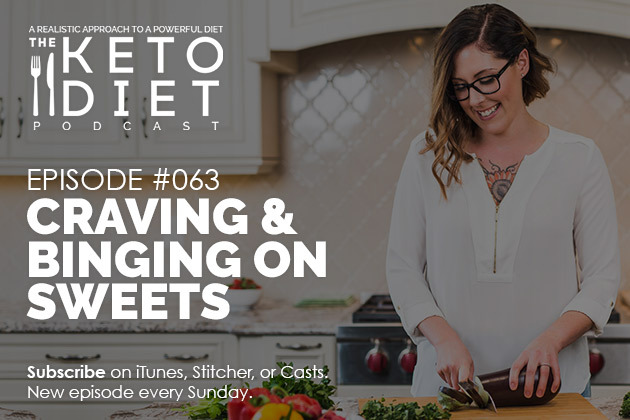 This episode is all about understanding what sugar cravings feel like on keto, safe sugar alternatives, how best to indulge in keto treats, and more. We have a new partner of the podcast, Broya Bone Broth! And, I wanted to share a couple of details about them because the way they do things is a little different. When I first tried their product, I was blown away by the intensely awesome flavor, but disappointed that there wasn’t a lot of visible gelatin/gelatinous quality to their broth when I placed it in the fridge. Many other broths do this, and I thought it was a good sign of a quality product, but I was wrong. As the bones heat up in water the collagen proteins breakdown through a reaction called thermal hydrolysis. Through this reaction, the long collagen peptides break down into smaller fragments of different molecular weight. The higher molecular weight peptides give more viscosity to the gelatin solution, while smaller peptides will affect viscosity to a lesser extent. So, in fact, it is possible to have more a greater breakdown of collagen with a lower viscosity. Sometimes this can be seen in pressure cooking where the time of extraction takes a lot less time where you’ll end up having a larger amount of lower molecular weight peptides and end up with a lower viscosity (i.e. less gelatinous, but more collagen). Christmas is coming! Get The Keto Holiday Cookbook now for only $10! 36 recipes, 4 menu options, and endless deliciousness — both holly AND jolly! Alcohol: Dry Farm Wines, get an extra bottle of wine on your first order!